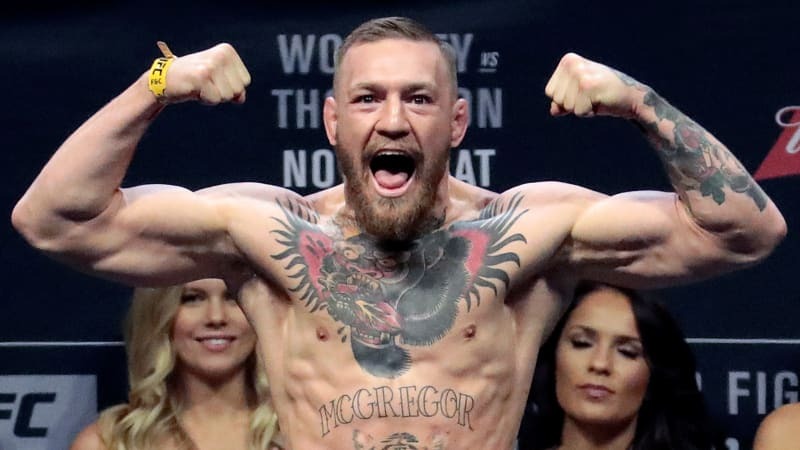 Conor McGregor, an Irish mixed martial art fighter, put Jose Aldo in his first death blow in the first round of the Ultimate Fighting Championship (UFC) featherweight belt fight at the MGM Grand Garden Arena in Las Vegas, USA on Sunday (13/12). McGregor won a knockout over Aldo in just 13 seconds. It was recorded as the fastest win in the UFC title race, faster than when Ronda Rousey beat Cat Zingano. Aldo himself is a UFC champion who is unbeaten in the last 10 years. Despite still playing top, or relying on punches, Aldo also has the power of doing a takedown and playing ground. Before the game, McGregor, had bragged that no one could tame his left hand and he proved his words by dropping Aldo. "He is strong and fast, but precision overwhelms strength, and the time is right to beat speed," McGregor said as quoted by Irish Miror. "I'm sympathetic to Jose, he's a phenomenal champion, he was a phenomenal champion." Meanwhile, Aldo himself immediately think of the fight again after swallowing the shocking defeat. "This is not really a fight," Aldo said. This victory will be discussed by all mixed martial arts lovers, as did Rousey's defeat of Holly Holm last month. The battle between Aldo and McGregor is one of the most anticipated battles in UFC history. This is driven by Aldo's unbeaten fact in a decade, while McGregor is the most popular UFC star. Known as Muhammad Ali of Ireland, McGregor's feat as a featherweight CWFC champion and lightweight champion made him the first Irish professional fighter to hold two titles in different class divisions.